Here at Foot Solutions, we’re feeling great about improving the health of our feet! This week, we’re focusing on food, because we all know that our general health and foot health go hand in hand, and both require us to eat a healthy, balanced diet. Making changes to your diet doesn’t have to be a big deal – in fact, small, sustainable changes will be much easier to incorporate and maintain. Take some time to reflect on the fuel your body needs and see where you can add the essential elements you’re missing out on. Here are some healthy tips to help you out. 1. Be aware of foods that cause inflammation. Some foods, including refined grains and sugar, can increase chemicals in your body that cause tissue inflammation. Conditions such as plantar fasciitis, where the plantar fascia ligament which runs across the bottom of the foot becomes damaged and inflamed, can be caused or exacerbated by these chemicals, which are often found in junk food. Eating more omega 3s can help to reduce inflammation in the body. 2. Check your calcium and vitamin D intake. Calcium, and vitamin D which helps with calcium absorption, can prevent bones from become too fragile as you age and protect against fractures, especially in the bones of the feet. Good sources include green leafy vegetables, sardines and dairy products. 3. Maintain a healthy weight. 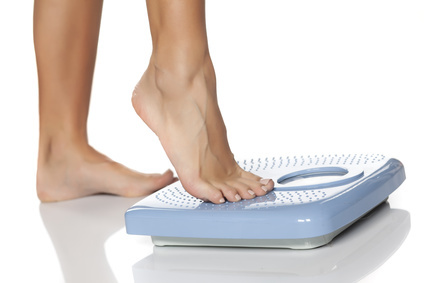 Obesity is one of the most influential factors on health and carrying extra weight can contribute to or worsen many foot problems. If you are overweight, moving towards a healthy weight with a good, balanced diet and regular exercise could be the most positive thing you ever do for your health. 4. Be vigilant for diabetes. Diabetes has many complications including problems with the feet, and if you are diabetic, your medical team will be able to discuss the impact of your diet on your general health as well as particular implications for your condition. Controlling your blood glucose levels can keep diabetes under control, preventing symptoms and stopping existing conditions from getting worse. If you want to join in our Healthy Foot Challenge, you can get involved online and look out for our top tips. Putting your feet first involves wearing the right shoes to support them, and the friendly and helpful staff at Foot Solutions will be pleased to help you to find the right pair for you. Don’t let your feet suffer any longer, change your diet and your footwear today!